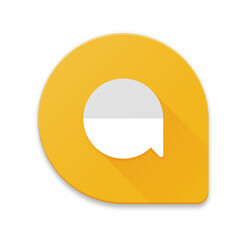 Co-lead for Allo, Justin Uberti, has posted a list of highly-requested features for Google's new messaging app on his Twitter page. Ending the short publication with “That's all I can say (zipper-mouth emoji),” it wouldn't be too far-fetched to assume that Mr. Uberti is probably not just tweeting this at random with the intent of informing us what customers of Allo want the most, but rather to hint at what's coming in the near future. No word on improved security though. Poll: are you going to be using Google's Allo? Sep 21, 2016, 9:03 AM, by Paul K.
Edward Snowden not a fan of Allo, dubs it "Google Surveillance"
Sep 22, 2016, 2:39 PM, by Ben R.
You don't live in the US, do you? SMS is still huge here. That's why iMessage is so big. I can see most using Whatsapp. However, if family and friends don't want to download the app. You have but no choice but to use a carrier based SMS. I've sent sms through Allo. Am I not supposed to be able to do that yet? I'd love to have full google voice integration...make phone calls etc. That is precisely where Hangouts went wrong. No way in hell that will happen again. file sharing a must - duo integration with voice only - assistant in other languages (english is not native for a, let's say, majority of this planet) - and desktop integration. themes is just cosmetics, not features that change how it works. All those features should've been there from day one. I completely agree. I was looking forward to using it but as soon as I learned it didn't include SMS, I lost interest. Google better hurry and push out at least some of these features if they want Allo to stay alive... and to keep me from jumping ship to iOS (eta: one month).